Middle-earth: Shadow of Mordor was a huge hit for action gamers and Tolkien fans alike. Presenting a surprisingly dark twist on the classic fantasy realm, the game entranced players with engaging combat and a massive world to explore, and went on to earn over a dozen game of the year awards. 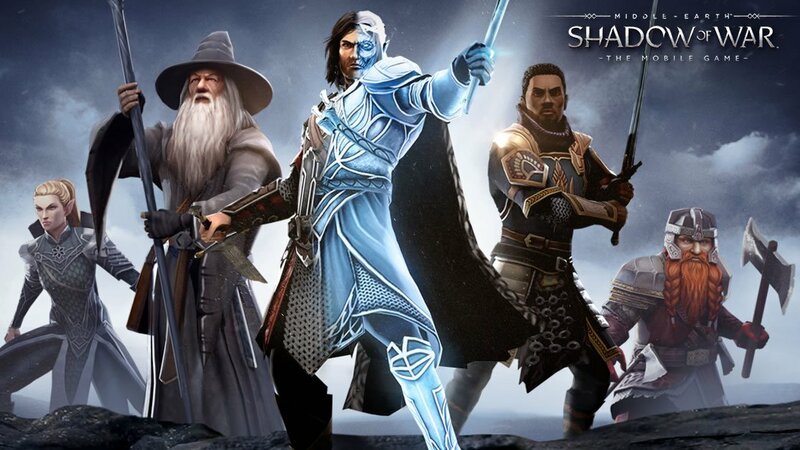 Unsurprisingly, the team at Warner Bros. Interactive Entertainment got the green light to develop a sequel, and ahead of the game's October 10 release date, players can enjoy the Middle-earth: Shadow of War tie-in mobile game right now on their iOS or Android devices. The new Middle-earth: Shadow of War mobile game is being touted as a real-time action-RPG of sorts, where players are tasked with using protagonist Talion's immense combat prowess to conquer the forces of the dark lord Sauron. Like with the full-throttle PC and home console counterparts, the mobile version of Shadow of War allows players to battle the likes of orcs and goblins and even acquire and conquer their nemeses. The game also allows players to unlock additional characters like Gimli and Galadriel, and there's even a sort of autopilot option for players who like to sit back and have their games do all the tedious work for them. Shadow of War for mobile devices is free to play, which, as one might expect, means the game offers a variety of in-app purchases that range in cost up to $100. Though none of these are quite necessary to enjoying the title, some may find that progression is made easier if they're willing to drop a few bucks here and there for things like loot chests or experience boosts. However, some unlocks can be unlocked through daily login bonuses, and players can expect a variety of new and upcoming features, like leaderboards and new characters Gollum, Ratbag, and Shelob. Any players interested in picking up Middle-earth: Shadow of War for mobile devices can do so right now over on the Apple App Store or Google Play Store. Want to check out some free games that won't nickel and dime you into oblivion? If so, check out some of the excellent titles we've featured on our list of the Best Free To Play Games.